Advanced security is essential in a self-serve password reset tool. By adding SMS verification to the multi-factor verification process, you introduce an extra level of security to help ensure the identity of the user requesting the reset. 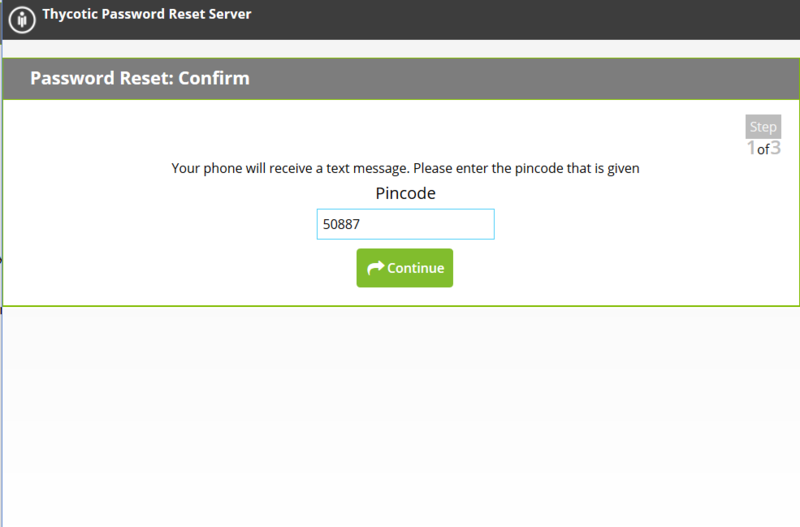 Password Reset Server automatically sends a text (SMS) message containing a randomized pin code to the user’s mobile phone. The end-user then enters that pin code as part of the reset process. If the pin code is not entered or is incorrect, then the reset will fail.If the pin code is correct, the end-user will be able to reset their password at the end of the reset process. Password Reset Server supports sending SMS messages via either TeleSign, ProxStop, or by sending an email directly to a SMS gateway.